What makes the world’s top CEOs so successful, rich and successful? This question is on the minds of every hungry entrepreneur in the world, including Bob Johnson, CEO of Slackeyhub. “If I knew what makes these men (and women) tick, I feel like it would give me the edge I need to really take over the world,” says Bob. As it turns out, what these highly effective individuals do on a minute-to-minute basis is quite eye-opening and indicative of their success. Moreover, simply mirroring these rituals and behaviors is sure to get you one step closer to their coveted status in the business world. Below are nine of their most important habits, which you should consider incorporating into your own routine. 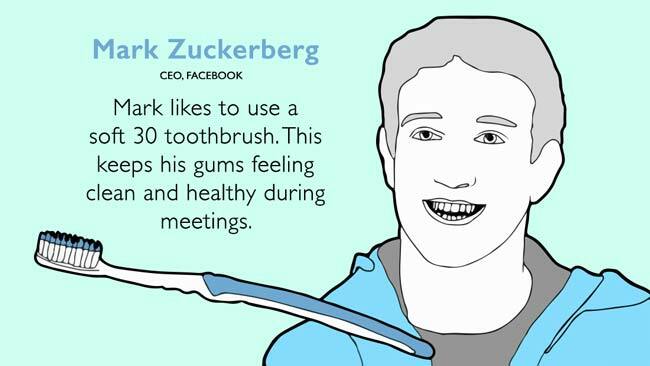 Mark’s love of soft toothbrushes dates back to his Harvard days. Soft toothbrushes are key for entrepreneurs who want to keep their dental hygiene as strong as their portfolios. 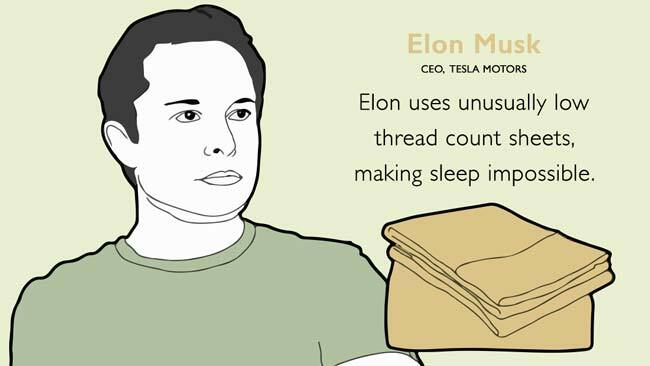 Low thread count sheets are de rigueur for CEOs of the highest intelligence, which obviously includes the SpaceX genius. It’s a little known fact that CEOs actually do know how to take breaks and have down time, but how they spend this time is often a mystery. 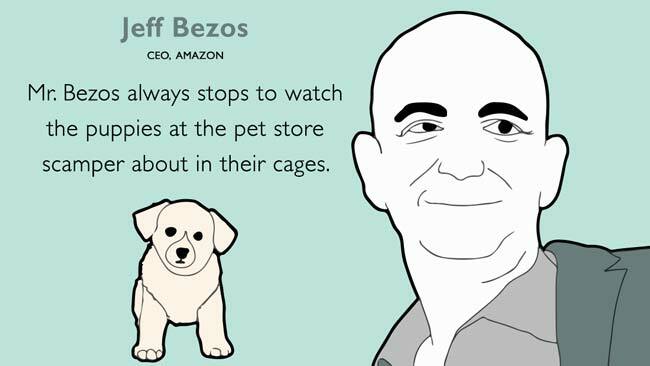 For Jeff Bezos, that means stopping to watch the cute little puppies play in their cages. Could this habit be the reason for his enormous wealth and success? Probably. Marissa’s attention to detail goes far beyond the Yahoo! logo. 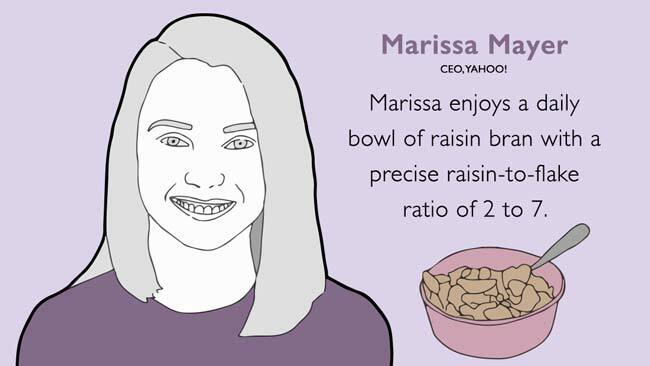 Her insistence on a precise raisin to flake ratio in her raisin bran is undoubtedly what makes her so respected in the tech community. Mark Cuban has to go to the doctor’s office just like everyone else. 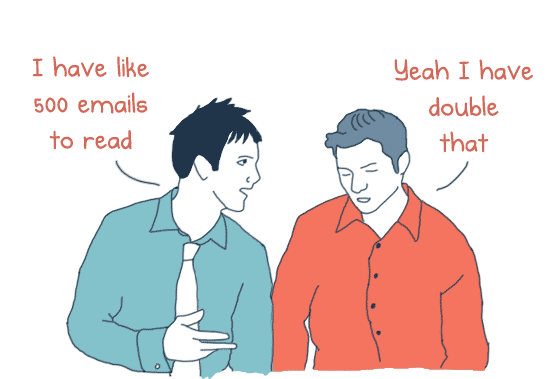 But unlike everyone else, he always wears loose fitting cotton slacks. His insistence on this small comfort during a needed chore helps him remain focused when he’s doing what he loves – running successful businesses. Bill’s humming is barely audible, but if you listen closely you quickly recognize the notes from Wind Beneath My Wings, from the hugely successful film, Beaches. Does humming this tune trigger something in Bill’s brain that makes him the creative and technological mastermind he is? We think so. How you turn a light dimmer might seem like a small thing, but maybe it isn’t. 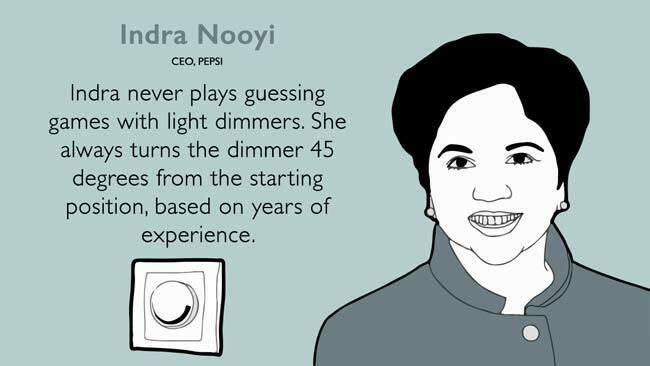 Maybe how you turn a light dimmer defines you as a person, as it does for Indra Nooyi. Her brilliance in the boardroom is no doubt influenced by this habit. 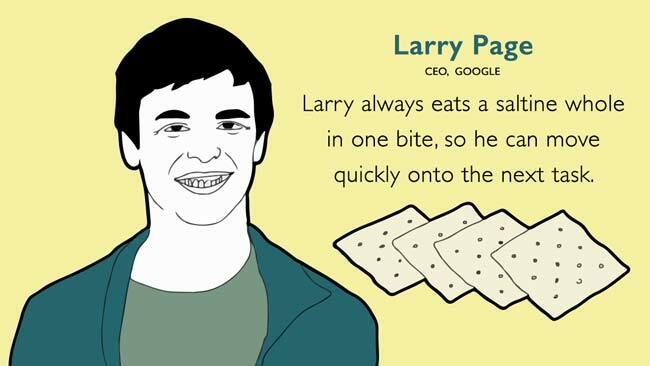 As the CEO of Google, Larry Page doesn’t have any time to waste. That’s why the way he eats his saltine crackers is so brilliant. 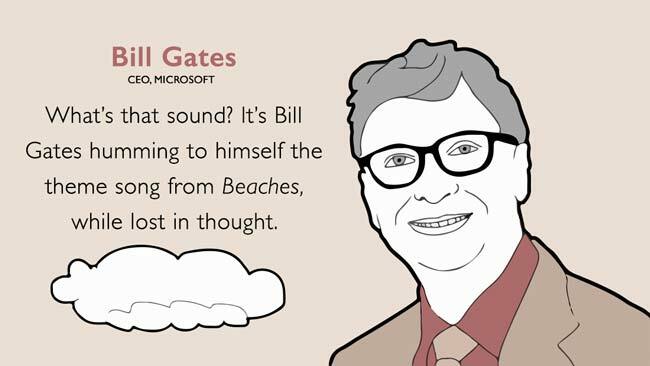 Tim couldn’t be the CEO of the finest design technology company in the world without knowing what to pay attention to. But he also knows what not to pay attention to – his eyebrows. 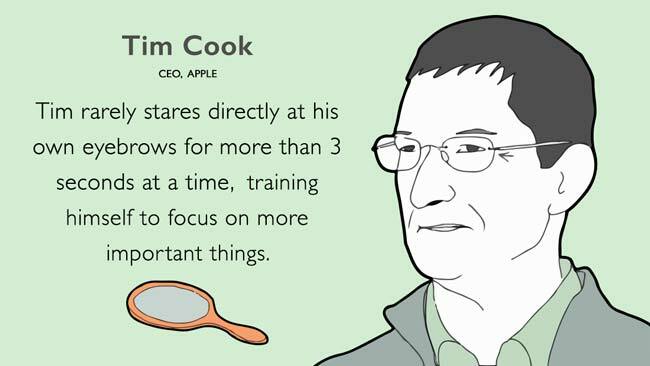 His ability to never stare directly at his own eyebrows for more than three seconds gives him countless extra hours over the span of a year to focus on what really matters – his company. 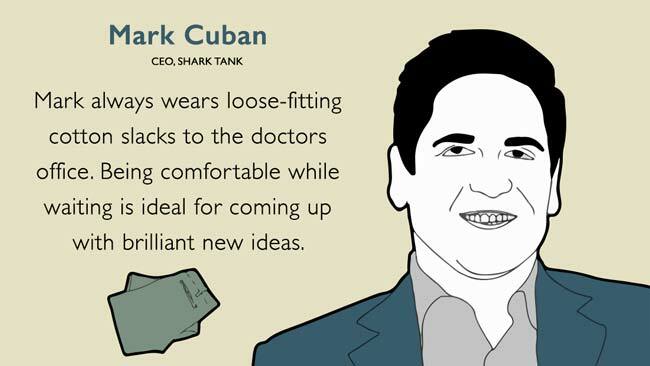 Still not sure which CEO to emulate? Try taking the Which Tech CEO Am I? quiz.